Rationing is inevitable in a world of scarcity. You can ration by price: high monetary bid wins. You can ration by standing in line: first come, first served. You can ration by bureaucratic procedure: fill out forms. You can ration by favors: hello, baby. But there is always rationing. The free market rations by price. The federal government rations by standing in line and filling in forms. When the government forces the price of anything below the free market price, rationing by standing in line becomes dominant. This is why socialized medicine inescapably mandates death panels. There is no escape. The pro-government physicians know this. So, they are ready to promote assisted dying, or physician-assisted dying. It's cheaper to have people decide to commit suicide than to treat them for an incurable disease. The Hippocratic oath — do the patient no harm — becomes the hypocritic oath: do the government no harm. This shift in opinion takes place at the top. 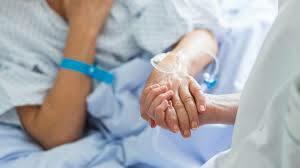 Leaders in the profession begin promoting physician-assisted suicide. Dr. Kevorkian was the most visible "early adopter." Then the state of Oregon legalized it. But not many patients are taking advantage of the law in Oregon to make this policy cost-effective for the government and families waiting for the inheritance. So, the elite in medicine is trying to get opinions changed. The New England Journal of Medicine has just published an article to speed up acceptance: "Redefining Physicians' Role in Assisted Dying." It sounds so clinical. It is clinical. You can read it here. It lists objections to physician-assisted suicide, meaning — let us be clear here — becoming an accomplice to murder. There is a moral objection. But since morality is all subjective, according to liberals, there should be no civil law involved — unless we are talking about Nazis, in which case, such acts are atrocities. So, a physician should be allowed to become an accomplice. The fifth objection holds that allowing assisted dying undermines the sanctity of life. This is a subjective moral question, commonly framed in terms of absolute preservation of life versus respect for personal autonomy — a divide that often falls along religious lines. There is no clear, objective answer, but as with issues such as abortion or withdrawal of life support, legalization would benefit those who want the option, without affecting care for those who object to the practice. But then there is resistance within the profession — the remnants of the Hippocratic oath days. This is a serious problem.